Rev. Robert H. Carey, CSV, died on Tuesday, Oct. 2, 2001 at 10:20 p.m. in Las Vegas, NV. He was born on Jan. 1, 1930 to Harold and Norma Carey, who preceded him in death. His sister, Mrs. Lynn (John) Hock of Joliet, IL, survives Bob, as well as a niece, Mrs. Nancy (James) Mueller of Shorewood, IL. Bob made his first vows on Dec. 1, 1949 and he pronounced his final vows in 1955. 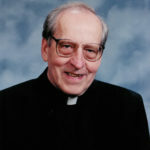 He was ordained a priest on June 7, 1958 at Techny, by Archbishop William O’Brien. He received his B.A. 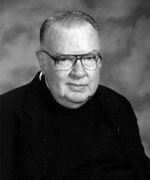 in Philosophy from St. Ambrose College in 1950 and completed graduate studies at Catholic University, Loyola University, DePaul University, the University of San Francisco and the School of Applied Theology, Berkeley. Bob was assigned to St. Ambrose Academy, St. Philips High School, St. Benedict High School, Bishop Gorman High School, Griffin High School and St. Viator High School. 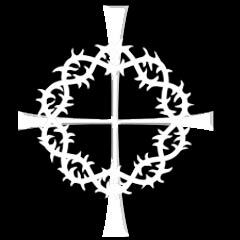 Additionally, he served at St. Viator Parish in Las Vegas (1970-1977) and as pastor at Maternity B.V.M. Parish in Bourbonnais, (1977-1983) before moving to St. Justin Parish in Santa Clara, CA and St. Victor Parish and O’Connor Hospital in San Jose, CA. He then retired in 2000 to Las Vegas. The wake was held on Thursday, Oct. 11, 2001 at Palm Mortuary in Las Vegas from 5:00 – 8:00 p.m. There was a prayer service at 7:00 p.m. The funeral Mass was celebrated at Guardian Angel Cathedral in Las Vegas on Friday, Oct. 12, 2001 at 10:00 a.m. Burial followed in the Viatorian section at Davis Memorial Gardens in Las Vegas. Please remember Bob in your Masses and your prayers.